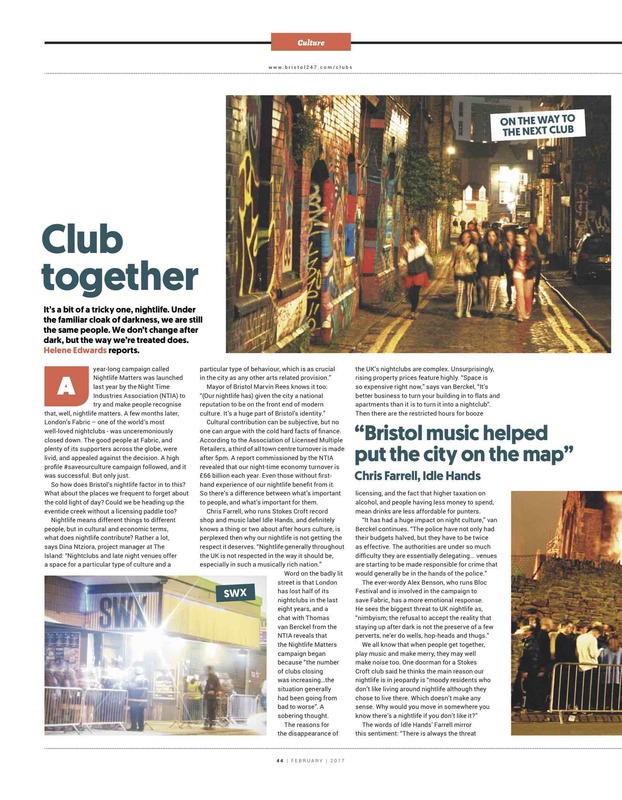 I wrote an article about Bristol nightlife which a magazine then took ages to publish. By that point key details in the article had changed and as a result a fair degree of…errr…’relaxed’ editing was done. In short: that dull first paragraph is not mine. 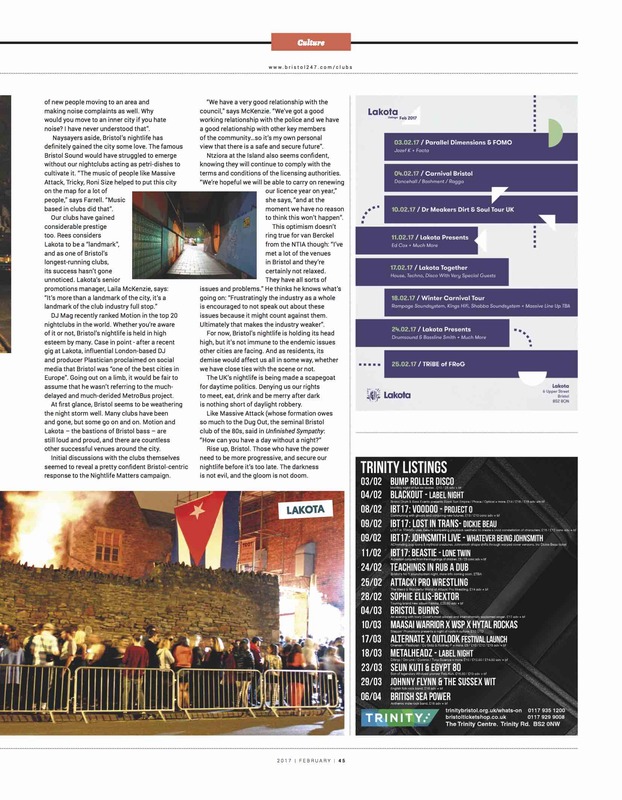 The rest is though – the interviews, photos and other words. Image below too small? PDF might be better. Maybe.